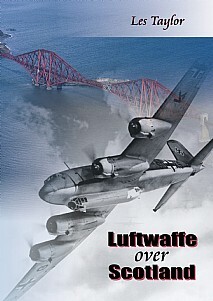 Luftwaffe over Scotland is the first complete history of the air attacks mounted against Scotland by Nazi Germany during World War Two and undertakes a detailed examination of the strategy, tactics and politics involved on both sides, together with a technical critique of the weaponry employed by both attackers and defenders. Extensive figures on Scottish civilian casualties have been included, together with a full list of all Scottish locations that were bombed and details of German aircraft losses. ■Why was there no 'Phoney War' in Scotland? ■Did the Battle of Britain begin over Orkney in April, 1940? ■Why were more people killed in Glasgow than at the target of Clydebank? ■Why were the Greenock raids such a disastrous failure for the Luftwaffe? ■Why did Hitler personally ensure Aberdeen became Scotland's last raided city? ■Why was the last air battle in Europe fought off the Aberdeenshire coast? Luftwaffe over Scotland draws on a wide variety of sources, such as official archives, articles, letters and personal testimonies, including information about German Luftwaffe operations, to paint the first full and accurate picture of the dramatic and often brutal air attacks that took place in almost every village, town and city in Scotland during World War Two. From a detailed analysis of the attacking German forces, to an explanation of the strengths and weaknesses of the air defences around Scotland, this is an important and long-overdue contribution to the full understanding of this dramatic period in the history of the modern Scottish nation. Sure to be of widespread appeal, not only to everyone with an interest in modern and military history but also to the casual reader.